Five Star Equipment is committed to offering a full range of high-quality equipment for the Construction and Forestry industries. The knowledgeable sales team can assist you in selecting a model we have in stock, ready to go, or help you custom order one direct from the factory. 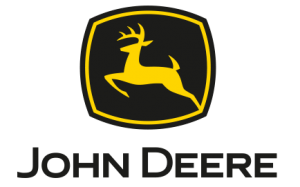 Established in the mid-1950s, John Deere’s Construction and Forestry Division manufactures equipment used in a variety of applications including earthmoving, road building and repair, underground utilities, site development, residential construction, and material handling. John Deere forestry equipment is used in full-tree and cut-to-length harvesting operations and in mill yards. Build your own construction equipment exactly how you want it using John Deere’s Equipment Configurator. Since the inception of the company’s first electric motor repair shop in 1910, Hitachi’s commitment to efficiency, reliability and durability has remained strong. Hitachi’s sales, marketing and product support activities in the Americas have been managed by the John Deere Construction and Forestry Division since 2002. Together they use common parts distribution, information systems and training and support programs to provide more value to their customers. Established in 1992 and made in America, Fecon manufactures a broad line of durable, purpose-built machines that fit a wide range of applications across four primary markets: vegetation management, environment, construction and the oil and gas industry. Fecon’s entire product line is available to Five Star Equipment customers. Bomag is a global market leader in compaction technology that manufactures soil, asphalt and refuse compaction equipment, as well as stabilizers and recyclers. Whether you need plates and tampers or a 120,000-pound refuse compactor, Five Star Equipment has the Bomag equipment you’re looking for. 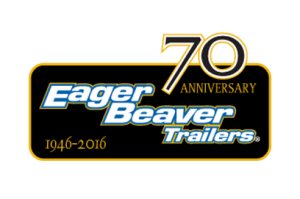 Since 1946, Eager Beaver Trailers has been manufacturing the highest quality construction equipment trailers from five to 100 ton capacities. The company’s approach to transportation safety has made Eager Beaver Trailers a leader in product development and dealer support nationwide. 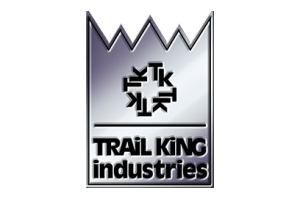 With trailers ranging in load capacities from three to 500 tons, Trail King Industries has trailers to serve a wide variety of applications for markets as diverse as construction, agriculture, transportation, waste and recycling, and specialized hauling. A third generation, family owned business, HARLO Products has been serving the vertical mast rough terrain forklift industry since the early 1940s. For decades, the HARLO name has been synonymous with quality and dependability. HARLO started making vertical mast assemblies for the U.S. Navy during World War II. Originally manufacturing mast and counter weight kits for other tractors, in the 1980s HARLO partnered with John Deere to build the first completely in-house production unit.